Discovery Notes The soil sample was collected from an area that had been under construction and they had just flattened the up-rooted ground. Also, it was right next to a water drain, so it was black, moist soil with a grey layer underneath. This phage was found through direct isolation. Plaque Notes Pin-sized often turbid plaques that grow very slowly. 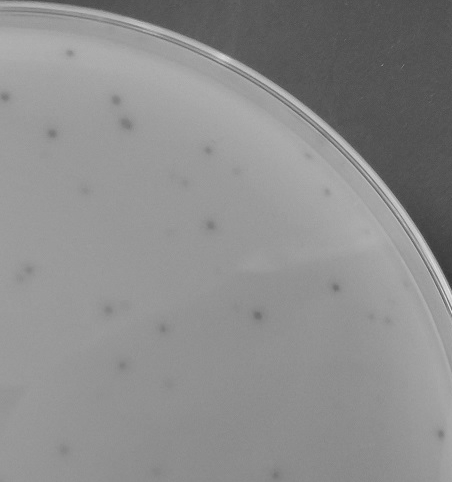 They are not perfectly round, and are difficult to count on a plaque assay.